Dr. Ettenson is board certified in ophthalmology. He graduated with a B.S. from Syracuse University and received a M.S. in anatomy from Fairleigh Dickinson University. Dr. Ettenson was awarded his M.D. from New York Medical College, and then completed his internship at St. Vincent’s Hospital and Medical Center in New York and his residency in ophthalmology at Hahnemann University Hospital in Philadelphia, where he was chief resident. Professional memberships for Dr. Ettenson include American College of Surgeons, American Academy of Ophthalmology, American Society of Cataract and Refractive Surgery, New York State Ophthalmological Society, New York State Medical Society, and the Westchester County Medical Society. 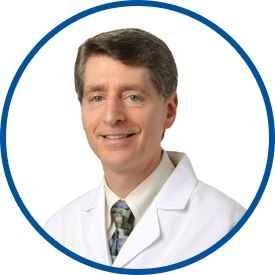 Prior to joining Westmed in July 2006, Dr. Ettenson was in private practice for 17 years. He is affiliated with White Plains Hospital Center. Doctor was very professional and caring. I have already recommended *Dr. Ettenson & an appointment has been made. This was my first appointment with Dr. Ettenson, who had been highly recommended by 2 of my other drs., & I was favorably impressed with his knowledge & caring style. This was my first time visit and I was very pleased. One of the best care providers I have seen. i had read all reviews of many eye doctors and the reviews fir Dr Ettenson were spot on. He was caring compassionate and knowledgeable. .
Dr. Ettenson is both caring, professional & thorough. *Dr. Ettenson is soft spoken, kind, thoughtful and carefully went through an examination that led him to suggest cataract surgery. His nurse offered all of the pre-op & post-op appts.. all at once. This was very helpful! *Dr. E. provided excellent care. World class professional, very compassionate very caring. *Dr. Ettenson is by far one of the best physicians who has treated me. One of the best of the best! Excellent experience, will definitely return for 2nd surgery as needed with *Dr. Ettenson. Dr. Ettenson is a professional. *Dr. Ettenson has been my eye doctor for over 20 years. "The Best."